After the success of last year’s competition, in which we had an unprecedented five finalists, many of our GCSE and A Level Music pupils are competing in this year’s composing competition. The young composers are given the opportunity to compose a piece for the Galos Piano Trio (violin, cello and piano). Furthermore, they are given one-to-one tuition from professional composer Lynne Plowman. Every pupil who enters will have their piece recorded and the finalists will go on to the grand concert in Rhosygilwen. This term we had our first composition workshop of the year. 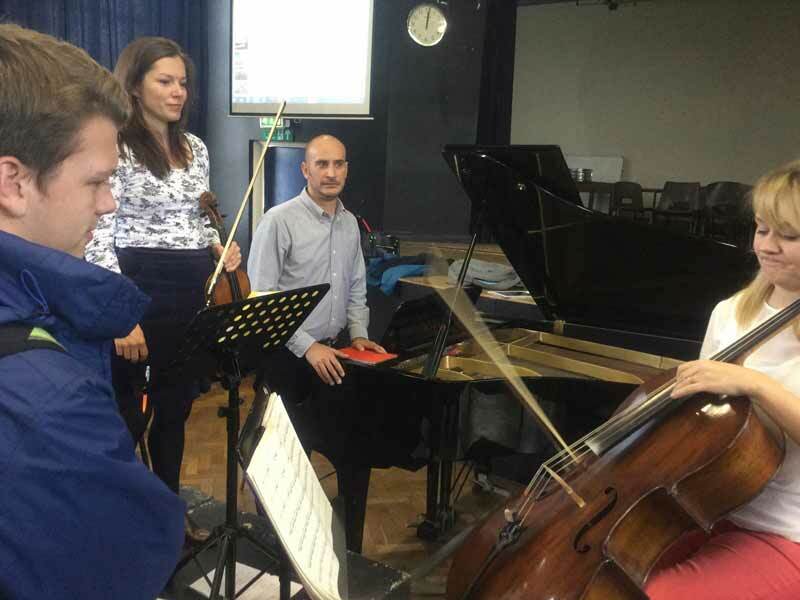 The pupils got a chance to meet the ensemble and to ask them how you go about writing for a piano trio.